What is sulfation and how to prevent it? Sulfation occurs when lead acid batteries do not receive a full charge. Visualize your car battery caught in traffic in a large city. You spend time idling, while having your heater/defroster, MP3 player delivering your favorite songs, and low speed (and revs), while the alternator unsuccessfully tries to charge your battery. Electric wheelchairs often suffer a similar challenge when not charged sufficiently. When you use battery power, small sulfate crystals appear. 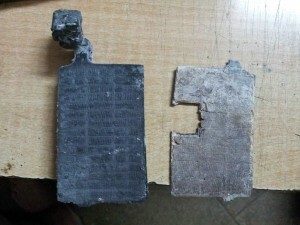 However, during long period use (without charging), the lead sulfate morphs into “stable crystalline,” which deposits on negative battery plates. This encourages larger crystals to form. The battery’s active material, which delivers high-capacity, low resistance and top performance, is altered, allowing crystallization, blocking future charge acceptance. Full charging will take longer, if it’s even possible. Soft sulfation is reversible but hard sulfation is permanent. In a way these results are akin to batteries with “memory.” The longer these batteries spend discharged, they seem to perceive that 1/2 charge or less equaled a full-charge. Sulfation causes lead-acid batteries similarly to lose their ability to receive a charge if they’ve been discharged for long periods but for different reasons than “memory”. The lead sulfate in them crystallizes preventing charging. Consider the following suggestions to help avoid sulfation. Give a full charge whenever possible. 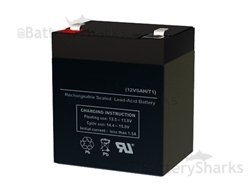 Do not leave batteries discharged and unused for long time periods. Lead sulfate crystals will form and adhere to battery plates. This is often the case with motorcycle batteries and boat or scooter batteries. Often the terms SLA/Sealed Lead Acid batteries and VRLA batteries are used interchangeably, although there are differences. Both are sealed and do not require watering by users. They both also have one large advantage over standard lead-acid units. Because they are sealed and do not require constant ventilation, they can be installed in any orientation. This feature can be important for certain applications, such as electric wheelchairs and scooters. 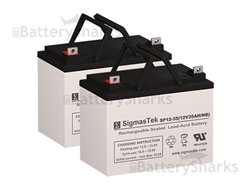 While SLA and VRLA batteries are sealed and “maintenance free,” they can still suffer sulfation if left for long periods in discharge state or should they not receive full charges when discharged. 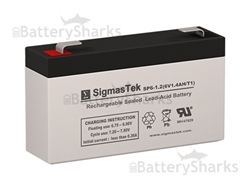 Although they do not need water applied to their internal plates, SLA/Sealed Lead Acid batteries and VRLA batteries still must be charged regularly to prevent sulfation. Although called “maintenance free,” these sealed batteries still need user attention to keep them fully charged (not overcharged) to avoid debilitating sulfation.